Will Retiring Baby Boomers Burst Big Law’s Balloon? Confession: I am a baby boomer. I am one of the 76,000,000 Americans who were born in the period between 1945 and 1964, which is generally accepted as the definition for the baby boom generation. While I have previously questioned the wisdom of law firms having mandatory policies, and the legality of these policies have come under scrutiny, the fact is that too many law firms are adhering to mandatory retirement policies. The various rationalizations offered, such as “making room for younger partners, “thinning the herd,” “passing the firm’s legacy on to the next generation” and the like may be debated, but the effects of large swaths of baby boomer law firm partners retiring during the next very few years can have very severe consequences for law firms. Many law firms with whom we work have a population of baby boomer partners ranging in size from 15% to 35% of the partner headcount. Typically, approximately 15% of a law firm’s partnership are at the age in which they will be required to retire during the next three years or so. These partners tend to be the most productive and are certainly responsible for the lion’s share of the firm’s client base. They tend to be the most highly compensated and, quite significantly, individually and certainly as a group, have the largest capital accounts at a law firm. These looming retirements require a great deal of advance planning by the law firm, most particularly in two areas: Client transitions and financial planning. Transitioning client management and relationships to younger partners is a theoretically simple concept. Theoretically. However, effective transitioning client responsibilities presumes that the senior partner does indeed intend to hang up his or her spurs and disappear quietly in to the sunset. But, lawyers approaching the second half of their sixth decade on Earth are a different breed than earlier generation. They are healthy, vigorous and simply not interested in retiring. This generation will not be retiring in the same numbers as in the past. Their decisions about continuing to work are also influenced by the diminution of their assets because of the market distress of the last three years. Their nest eggs are simply smaller. Accordingly, many, if pushed in to retirement by their firms, their intention is to simply pack up their marbles and move, clients in tow, to the law firm across the street, which does not have mandatory requirements. 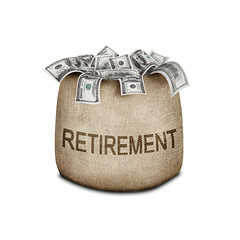 Of greater consequence to the law firm is its requirement to repay partner’s capital accounts upon retirement. As I mentioned above, capitol accounts for partners of this generation are typically the highest within the firm. They often aggregate more than 30% of the firm’s capital. In earlier decades, we witnessed the disastrous effects of unfunded pension plans at law firms, which quite literally caused the demise of many law firms. The unadorned fact is that a partnership’s obligation to repay capital accounts to withdrawing partners is completely analogous, with the only real distinction is that the capital accounts constitute a calculable number, while pension payments were only actuarially calculable. Nonetheless, a law firm’s obligation to repay substantial sums to these retiring baby boomer partners is a daunting prospect, particularly given current market conditions and a fairly illiquid credit market, with bank lenders imposing stringent underwriting criteria generally, and most particularly with law firms. Retiring baby boomers may very well be neutron bomb to many law firms. The drain of capital will blow balance sheets to smithereens. Clients following “retiring” partners across the street will have obvious consequences. There is no quick fix here. A great deal — and I really do mean a great deal — of planning must be undertaken with a great deal of immediacy. There are fixes available here, some problematical, some pragmatic, but the path ahead is fraught with real peril.